As of October 20, 2016, several ballot committees have filed funding reports with the Massachusetts Office of campaign and Political Finance (OCPF). To date, there are five ballot committees associated with Question 2. On October 17, 2016, Democrats for Education Reform (DFER) National Political Director, Patrick van Keerbergen, is named on a new, pro-charter ballot committee, Advancing Obama’s Legacy on Charter Schools. Given the recent chastisement of the Office of Inspector General (OIG) on USDOE’s reckless charter funding, naming a ballot committee “advancing Obama’s legacy on charter schools” does nothing to inspire MA public confidence that the committee obviously expects to purchase. Frank Perullo also filed the ballot committee, Yes on 2, which received only two contributions: His in-state $100 “to fund account,” and Arkansas billionaire Alice Walton’s contribution of $710,000. Thus, it is pretty clear that the ballot committee, Advancing Obama’s Legacy on Charter Schools has been created by Perullo to receive DFER-funneled money. The committee has no funds in it yet, but stay tuned. To date, the largest contributor to in promoting charter expansion in Massachusetts (via the ballot committee, Great Schools Massachusetts) is New York-based lobbying nonprofit, Families for Excellent Schools (FES) Advocacy. New York-based FES Advocacy has spent $11.2 million to expand charter schools in Massachusetts. That’s 58 percent of the pro-charter Q2 money ($11.2M /$19.3M) and 35 percent of the total Q2 money raised to date ($11.2M /$31.9M). 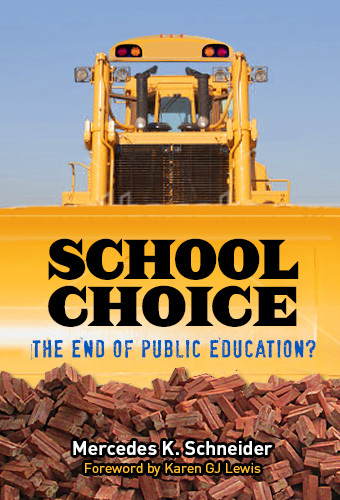 The largest contributor to anti-charter Save Our Public Schools is the National Education Association (Washington, DC) at $3 million, which represents 9 percent of the total Q2 money raised thus far ($3M /$31.9M). 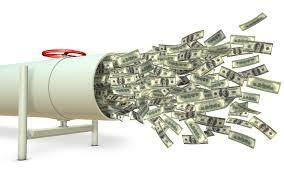 That’s right: MA Q2 has almost $32 million in funding behind it so far. And with only weeks to go until the November 8th vote, DFER has decided to pump its own charter-expanding money into the mix. It appears that the NAACP charter moratorium has made “yes on 2” that much more of a corporate reform trophy. 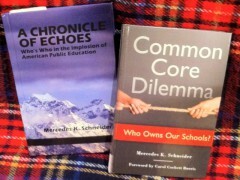 Schneider is a southern Louisiana native, career teacher, trained researcher, and author of both A Chronicle of Echoes: Who’s Who In the Implosion of American Public Education and Common Core Dilemma: Who Owns Our Schools?. California lifted its charter cap back when Reed Hastings was on the state board of education (really, he was). Now we get 100 additional charter schools per year! I’m having deja vu when I worked on one of the 2011 Wisconsin recall elections. Even though Sandy Patsch was being outspent 5-to-1 by her Republican opponent Alberta Darling, the grassroots, door knocking put Patsch ahead with two weeks to go. The Koch brothers and other noticed this, then did another massive dump for Darling, where Sandy was outspent 10-to-1 by the time of election day. Then came the huge TV ad campaign that would have made Josef Goebells pround … with lie after lie after lie after lie … so many that it was impossible to counter before election day. Patsch lost in a squeaker. It’s disgusting, but the only way to counter this is to use ju jitsu, or use the other side’s strength ($20 million worth) against them, and point out to Massachusetts voters that out-of-state moneyed interests are trying to buy their schools via this election. Getting (or keeping) one’s hands on education money is the big prize. Public school forces aren’t giving up without a fight, but the concept of “charter” is so positive that the reality doesn’t matter. It’s like redefining “3rd trimester killing of unborn babies” as “women’s reproductive rights.” One can hardly be against the latter, though the reality is the previous. Well, the following first person perspective comes closer to the reality, but much like all complex human issues the reality is far too real for the right wing brain to comprehend.